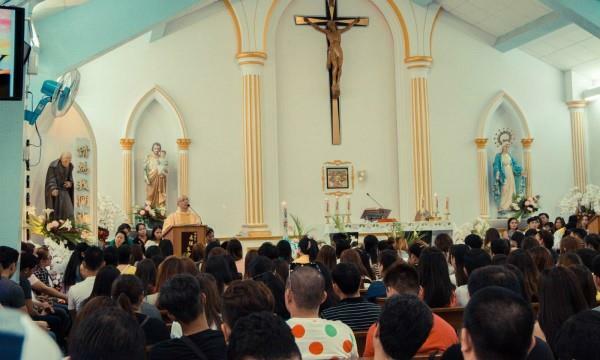 (MENAFN - Asia Times) For over 16 years, a Filipino-American Maryknoll priest in Taichung, Taiwan, has offered support to more than 1,500 migrant workers who have found themselves in trouble. Joyalito Tajonera, now 59, rented a four-story building using donations received from the Philippines and set up an Ugnayan Migrant Center in Tanzi District of Taichung serving the Filipino community and other vulnerable victims in Taichung, the Taiwan Apple Daily News reported. At present, there are 11 disadvantaged migrant workers residing at the center. Everyone at the shelter had a different story, said Tajonera, adding that some had lost their jobs due to companies closing down, while others were exploited by their employers. Worse still, some of the victims coming to him for assistance were sufferers of verbal, physical, and even sexual abuse. Asked why he was so determined to serve migrants, he explained that he was also a migrant himself. Born in the Philippines, he later immigrated to New York City, the United States, with his family. In 1998, he came to Taiwan for the first time to learn Chinese for a year, after which he returned to the States, already nursing the seed of an idea that he must return to the island country to serve the needy. In 2003, Tajonera came back to Taiwan and was later invited to preach to the Filipino community in Tanzi District of Taichung. Sunday services started out in a restaurant which could only house 50 worshippers at one time. In order to serve more people, a deserted movie theater in the neighborhood was refurbished by Tajonera and the Filipino migrants, turning it into a catholic church that can hold 500. Human trafficking, he noted, was the most thorny issue he faced in his work, and almost all his difficult cases fell into this category. Father Tajonera recalled that in 2016, a Filipina who had signed a contract with an employment agent to work in Taiwan as a caregiver was taken by traffickers to a brothel in Maoli where she was forced to offer sexual services to any customers who entered her room, where she was cut off from the internet and any other kinds of communication. Fortunately with the help of a fellow trafficking victim who could access the Internet, they got a message to a friend in Saudi Arabia who put her in touch with Father Tajonera. Tajonera talked to the Filipina and advised her to take any opportunity to flee. About six weeks later, she arrived at the Ugnayan Center and Father Tajonera accompanied her to file her case with the police. With the victim's help, the human trafficking syndicate posing as an employment agency was shut down and its perpetrators sentenced. The Filipina was then able to return to the Philippines. Father Tajonera said it was not uncommon for migrant workers to be tricked and sexually assaulted when under threat of losing promised jobs. He alone has rescued women in such situations at least three times.